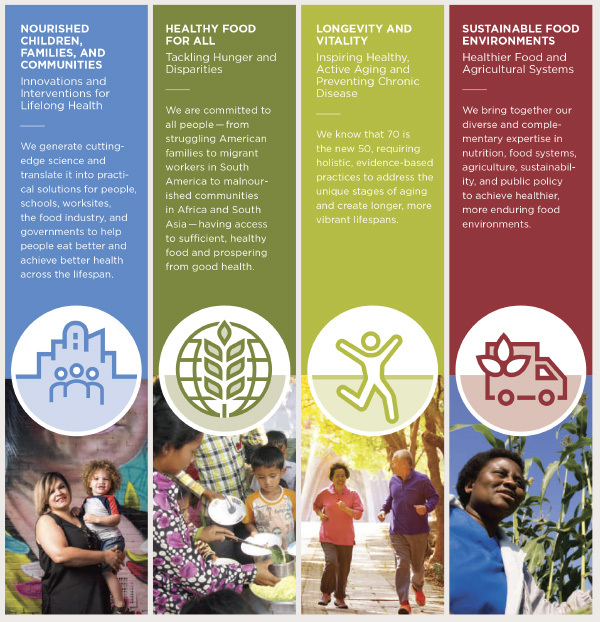 With diet a leading cause of poor health, inequities, and environmental challenge, the world is facing a nutrition crisis. 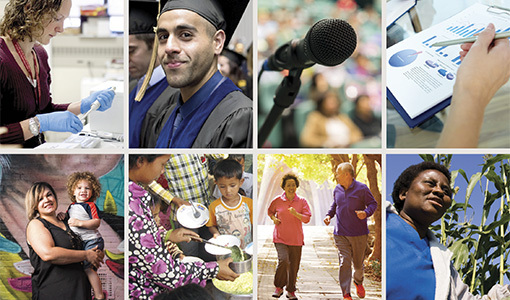 Fixing it, said Dariush Mozaffarian, dean of the Friedman School, will be crucial for improving well-being, reducing nutrition disparities, reforming health care, invigorating rural communities and agriculture, and ensuring a strong workforce and economy. 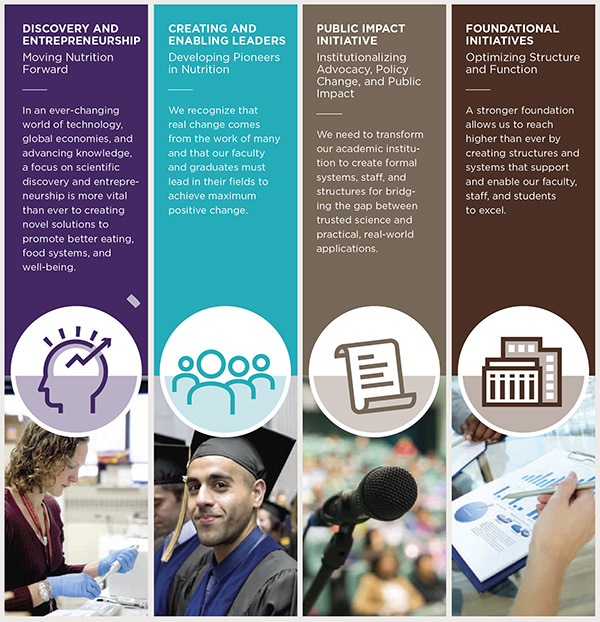 “As we have done for nearly 40 years,” Mozaffarian said, “the Friedman School is committed to addressing these issues by producing trusted science, future leaders, and evidence-based public impact.” As the Friedman School tackles these fundamental challenges, it will be guided by a new strategic plan—outlined below—that was a year in the making, and the result of the best thinking of nearly 200 stakeholders and experts. To read more about the roadmap for success, visit nutrition.tufts.edu/strategicplan and see the progress at annualreport.nutrition.tufts.edu.